We know how simulation-centric learning develops world-class talent. Advantexe has extensive experience working with a variety of large organizations developing talent through the use of a full-cycle simulation-centric learning process. Simulation Customization - using our proprietary and award winning simulation development platforms, we have the ability to customize, or tailor, a business simulation to your exact needs, business ecosystem, and business challenges and opportunities. 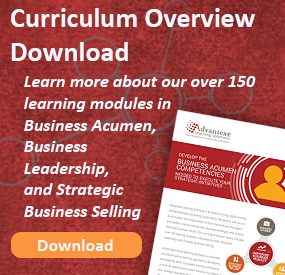 Comprehensive learning journey - an approach that provides continuous learning that includes content, learning tools, and a business simulation designed to drive change back on the job. Live-real plays within the simulation - real in-the moment, live role plays that integrate directly with the computer-based simulation. Training Reinforcement - Practium, a reinforcement process built on a cloud-based platform, which has been proven in controlled trials to boost retention and change on-the-job behaviors with impact to the bottom line. Experience - Over 25 years of experience developing and delivering global simulation-centric talent management solutions across a variety of industries and business disciplines. Focus on the Customer - Our teams are dedicated to the success of your individual engagement and carefully and skillfully tailor and customize every element of the project to your needs. Communications Fingerprint - To ensure success and to create internal brand, awareness, and recognition of your solution, Advantexe has the resources to help you develop an integrated, internal and sometimes external communications plan. 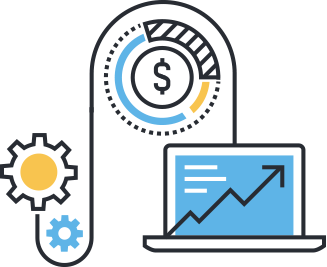 Results - Staff certified by the ROI Institute® will work with you to develop an evaluation and measurement approach including ROI, if desired. “The program was a great time and even more important fantastic learning. The trainer was the best trainer I have ever had – and I had many of trainings in the last 15 years.